Got it a promotional price. Item delivered as described. Highly Recommend written by mobile More promo pls. Fast delivery. Received in good condition. Thumbs up!! Super worth! Excited when i see such awesome deals! Hi, if drink the coffee in the morning. Can immediately take this UV-Bright drink? Thanks. Dear customer, you are recommended not to take any caffeinated beverages before or after supplement consumption as it might inhibit the nutrients absorption. Thank you. (1) What is the best time to take this UV-Bright Beauty? (2) Can I take with empty stomach? Any side effect? Please refer to the attached image from Live10. Live10 mentioned that the price is S$19.90, but when I clicked on it to buy the price is S$26.86. How should I do to get with discounted price of S$19.90. Dear customer, the best time to consume is before going outdoor. You are recommended to take UV Bright after meal if you have any stomach issues (eg. gastric). Please take note that the price is managed by Qoo10. 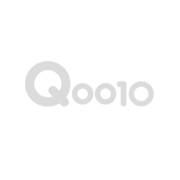 Should you have any enquiries, kindly contact Qoo10 support directly. Thank you. How does UVbright taste like? Dear customer, UV Bright taste like red grape juice. Thank you. Hi seller, is it better to consume room temperature or be kept in the fridge? I.e. any differences in the effect of the product? Thks. Dear customer, there is no any differences in storing UV Bright at room temperature or in the fridge. It will not affect the quality of the product. Kindly avoid exposing it to sunlight. Thank you. Hi seller, i see that the ingredients listed are all fruits/berries juice. How does this product help protect us from UV for up to 9 hours? Thks. Dear customer, the ingredients used are very high in antioxidant which aids in inhibiting and breaking down melanin (black pigmentation) as UV rays will accelerates melanin production. UV Bright repels free radicals and restores skin’s vitality and youth as well. Thank you. Thanks seller, understand that. I'm sure the product works to an extent but just curious how it can last for such long hours (9 hrs) per application even though the ingredients are high in antioxidants. Dear customer, Kinohimitsu UV Bright has been undergone a laboratory test showing that UV Bright is able to provide UV protection up to 9 hours. Thank you. Thanks seller, has bought a few month's supply and trying this out. Hope it works for me. Hi can I know current batch of expiry? Dear customer, the current batch of UV Bright is expiring in 05/2021. Thank you. What’s the minimum age to drink this? Dear customer, UV Bright is recommended for children aged 12 and above with half bottle per serving. Thank you.